Need a little fun in your pocket? 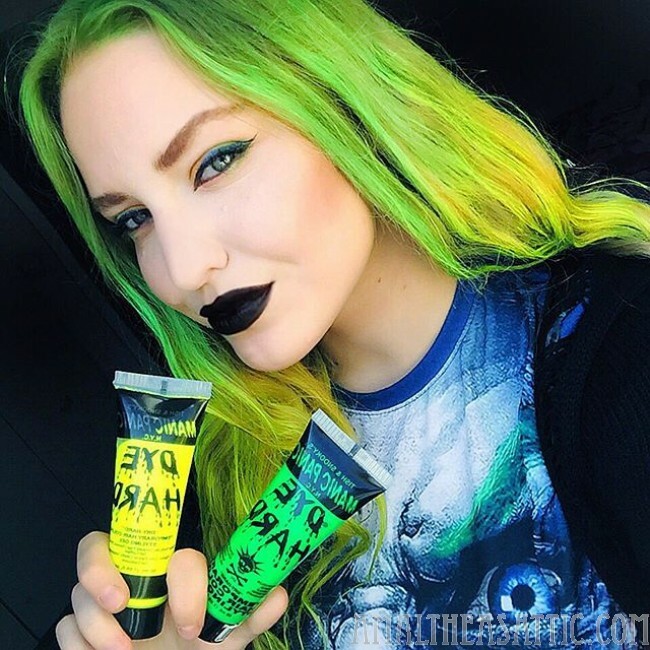 Try these mini Manic Panic Dye Hard styling gel tubes! 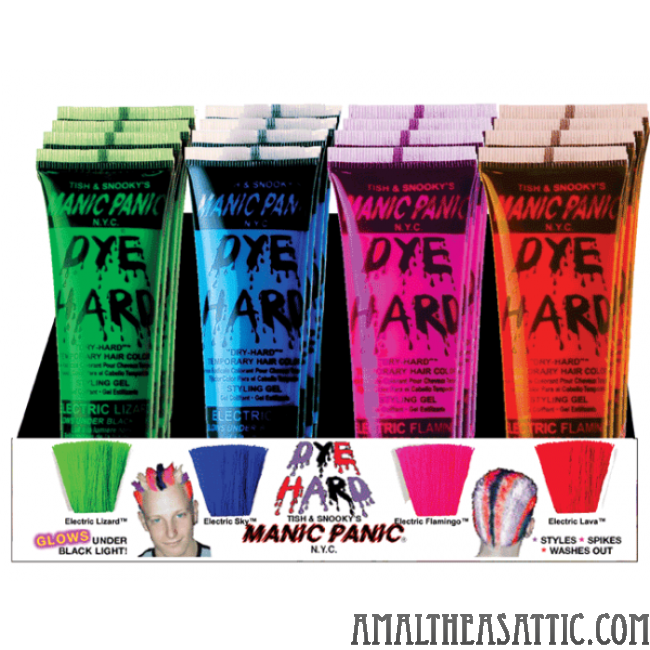 Perfect for a party or sporting event, to put a splash of super bright, super temporary color in your hair! Dye Hard Gel is COLOR WITHOUT COMMITMENT! 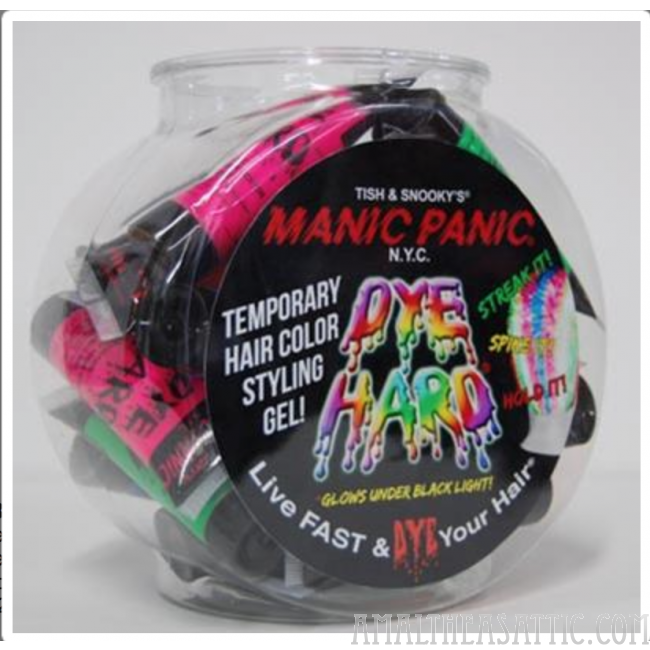 A thick opaque temporary hair color styling "gel" available in an easy to use squeeze tube. This hard holding formula may be used for styling as well as coloring. Mini, 20gram tubes fit perfectly in your pocket or purse!